There is a great genealogy resource near you. It contains free accessed to the latest "how-to" books, magazines and historical materials. Computers with the latest genealogy databases are waiting for you to use them. There are classes, lessons, special events and a staff whose sole purpose is to help you find the information you need. Where is this place? It's your local public library. The staff members behind the desk are there to help you. Don't worry about bothering them because that's their job! They want you to approach them and ask questions. Library staffs know their collections. If you can't find something, they will tell you where it is located and do what they can to get the item in your hands. Sign up for a library card if you don't already have one. For the vast majority of patrons, this shouldn't cost you a dime provided you live in the library's service area. A library card entitles you to more than the latest romance novels, as you will soon see. Basic genealogy "how-to" books - When you don't have the funds or the time to travel to genealogy conferences, books are a great way to learn research tips and tricks. 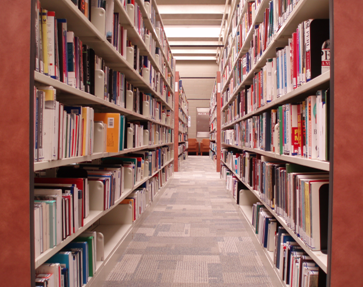 Browse your library's collection of genealogy books and find those that fit your interests. Some of the newer ones may be in the reference section. Be sure to ask the reference librarian on duty for assistance as he or she knows where to find what you need and can check in areas (like the back room) where patrons don't have access. Current magazines - Most public libraries have a good selection of magazines, both current and past issues. Check and see if there are publications on genealogy, history, writing or any other topic in which you have an interest. You may not be able to take these magazines home, but you will have access to the same issues in the newsstands at zero cost to you. Atlases - Seeing maps of the areas in which your ancestors lived enhances the family history experience and can help with your research. Check both the general collection and the reference section for specialized atlases. Also, ask the library staff if they have other atlases and maps in their collection. Many of these items are oversized. They may be stored on special shelving and are easy to miss if you're browsing the shelves. Language dictionaries - Do you have ancestral records that are written in other languages? They library may have foreign language dictionaries to help you translate the items you need to research your family history. Histories of locations and events - Do you have an ancestor who fought at Gettysburg or left Ireland during the Great Famine? Look for books about significant historical events of which your ancestors were a part. Libraries vary in size and service, but many have unique items that are not on the front shelves. Some organizations may even have whole rooms dedicated to special collections. Contents may vary from local treasures and records to rare materials of historical importance. Explore your library or ask staff about special collections in their building or other local repositories. Your trusty library card also entitles you to access many helpful databases online. The choices vary between library systems, but most patrons will be able to tap into versions of Ancestry.com Library Edition and HeritageQuest to search for vast amounts of records, articles and more. While you are delving through all the online treasures you library has to offer, don't forget to check out the databases that have historical newspapers and maps. Just when you think you've discovered all the genealogy treasures your library has to offer, there's interlibrary loan yet to peruse. Interlibrary loan (ILL) is a service where patrons of one library can request items from other libraries. If your branch library is part of a larger system, you will likely be able to request items from anywhere in the system and have them delivered to your local branch. Each library's ILL policy is different, so ask the library staff about yours. This is a great service if you like to read the latest general genealogy books. If you have an interest in acquiring specific articles from publications not carried in your local library, check to see if they offer document delivery services as well. Basic computer instruction - If you don't know much more than your computer's ON button, or just need a refresher course, many libraries teach "the basics." Lessons on how to use the library's databases - These online tools are some of the biggest assets to having a library card. Take advantage of these classes if they're offered so you fully understand how to use online databases to enhance your genealogy research. Writing groups - Many local writing groups meet at their libraries, and why not? It's a great place to socialize and polish up on your writing skills, which come in handy when chronicling your family's history. Craft classes - Keep an eye on the library calendar for classes that pique your creativity and introduce new ways to display your ancestral treasures, photos and records. Book clubs - Libraries often have monthly book clubs. Check regularly to see which books are being discussed. Historical fiction and non-fiction often make great topics for genealogical interest. If you don't find any classes or library events to meet your interests, ask the library staff if they have plans to hold such classes in the future. Perhaps you can work with the library to create and plan events of varying interests to genealogists. Many institutions have "Friends of the Library" groups to help raise money, improve collections and fill the gap between a library's budget and wishes. These groups often sell used books and items for pennies on the dollar. Look for (or ask about) a Friends area in your library. See if they have any books that might meet your research or general interests. Check back often because the inventory is always changing. If you need to make room for genealogy books at home, consider donating your gently used books to a local Friends group. The pursuit of family history takes patience, perseverance and a little creativity. Only lottery winners can travel to all the places our ancestors once walked. The rest of us have to tackle our research with careful consideration to budget and time. When pursuing all avenues in your family history quest, make use of your local public library as well. These seven steps will help you increase your genealogy knowledge in a local setting without decreasing your bank account.